In the heat of summer we may suffer from symptoms of too much heat such as aching muscles, constipation, nausea or fatigue. Here’s a great summer recipe to bring you back into balance. This recipe has a cooling Yin effect on the body and as such is best eating in the evening when the body needs to be more Yin. Morning and early afternoon are Yang times when it’s better to eat more Yang or warming meals. The main ingredient here is cucumber. In TCM cucumber is a cold food, one of the coldest in fact, next to watermelon, so it’s perfect for putting out the fire in the Stomach. If “Stomach Fire” is your issue it means you have symptoms such as ravenous appetite, constipation, bleeding gums, toothache, acid regurgitation, diarrhea, nausea or irritability. Mint is a cooling pungent herb which disperses “Wind-Heat” (infection) from the lungs, head and eyes and treats sore throat and fever. Mint also calms the Liver to relieve such things as depression, PMS and menstrual issues caused by Liver-Qi stagnation. Mint also brings rashes to the surface to speed healing. 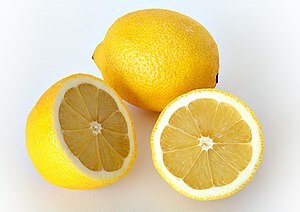 And lastly, lemon is a cooling fruit and excellent detoxifier. According to TCM, lemon harmonizes the Stomach and aids digestion. It cleans toxins from the Liver, Kidneys, blood, mouth and urinary tract. Lemon reduces inflammation and is used for inflammatory conditions such as arthritis. Lemon is also alkalizing, moistening, antimicrobial and diuretic.